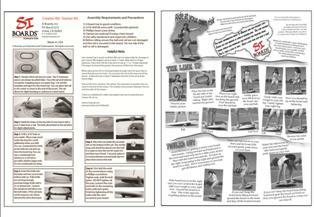 DIY Make Your Own Balance Board, Multi-Direction, Free Rotation Balance Training For Sports Functional Training. Our larger rail design is featured on all Starter boards. With lots of space to ride on the 3" Mini ball you will have fun challenging your balance. A great way to get started on your own personalized board. This rail is great for kids with small feet or those growing up fast. As you develop your skills you can expand your rail. A perfect option for kids and customizing to your needs. Keep changing out the board size or add more extensions. If you have that creative bug like I do- then this is perfect for you! Design your own balance board and use our rail kit. I love hearing stories of how everybody created their board. Some had left over project wood from house renovations, woodworkers with a shop or those who love to create. Have fun and don't hesitate to ask us for help or suggestions. And now- go create! All skill levels for adults. All skill levels for kids. Rail will be too large for toddlers. Keeps your low to the ground and great for beginners. Fast, reactive and easily allows you to move the board. Rides well on a board that is not overly sized compared to rail. Enough space to place 2 balls under the board. Great amount of forward and backward motion. Easily practice one foot exercises. 5" half ball for beginners. 6.5" half ball for advanced. Enough space for 2 half balls. 8.5" half balls on small boards. I have yet to put the kit together due to the weather and working out in my garage but I have been nothing but impressed with the great and personal customer service! I got excellent support from Elysia in using the Starter Kit and my old skim board to create something I am now using and training with for a surfing trip to Costa Rica. She advised me to purchase the starter kit along with an 8" extension kit and 2-3" balls. After I received the products I got from SI-Boards I bought a 1/6" thick piece of Plexiglas from Home Depot, trimmed it, drilled it, and sandwiched it in between the bottom of my skim board (7/16' thick) and the 1" rails and now I am in training! I really got the feeling that Elysia was not pushing to sell me anything just wanted to understand my interests and help me put something together that would work for me. I built my own board with one of the kits and I am very happy with the end product. It is a great way to get a feel for the board without spending a lot of money. The small ball and small ring are a challenge right now for me, but I know I will be moving up to a bigger bottom ring and a big ball soon. My youngest brother brought a SI board to a family reunion and that is the way it started. The Starter Kit is a great way to save money and get your kids involved. My two kids (11 & 17) helped in the building of the board and installing the rail. I wanted them to have ownership in the project. The board now is in front of a saw hourse in the family room. This way you can mount the board and have something to hold on to while we learn to balance. We all enjoyed the project and are using the board. I gave the kit 4 stars because of how tight the interlocking rails were. 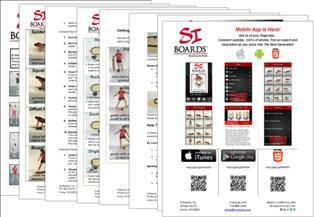 All four of us "kids" now have a SI Board (ages 44 to 52). Have fun.